Tea Happiness- A blog on tea drinking, tea history, tea industry interviews, NYC tea experiences! : Giveaway! 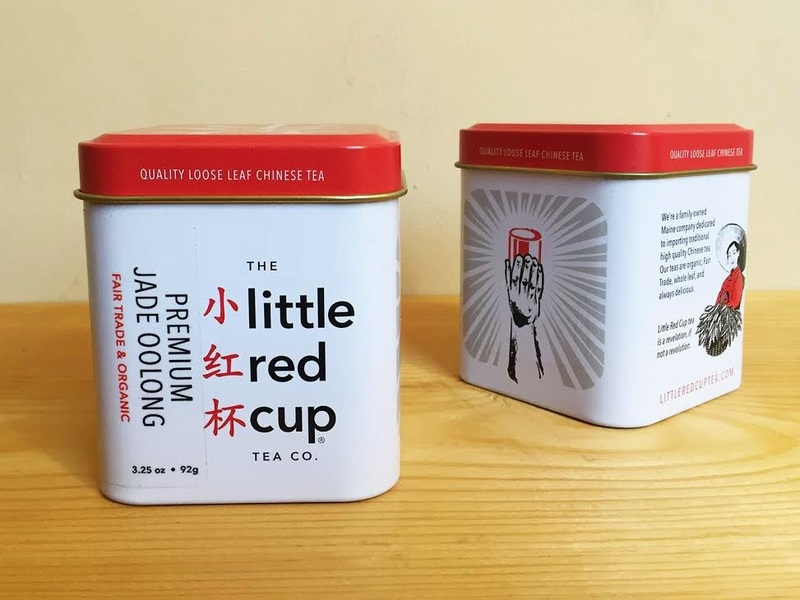 Win 2 tins of tea from Little Red Cup Tea Co. Giveaway! Win 2 tins of tea from Little Red Cup Tea Co. These two tins of tea could be yours! A few weeks ago I interviewed Martin Connelly from Little Red Tea Cup Co. At the time they were just getting ready to introduce their newly designed tea tins. I love the bold graphics and simple design of the tins. I'm happy to annouce that you can enter to win two tins of your choice! Best part is there will be two winners of this giveaway! So enter, and make sure all of your tea friends do too! You have four possible entries: Visit their website and comment below on which two teas you'd love to try. You can gain more entries by liking their facebook, instagram, and twitter feed. Best of luck to everyone! The contest ends on Monday 5/11, best of luck to everyone!! I like the darker teas such as the Wujian and Lapsang. As an older lady, these are easier on my digestion. I still drink greener teas a few times a week, but must balance greens out with darker tea such as these. I would love to try Little Red Cup jasmine green tea and the jade oolong! What lovely tea tins! I would be so excited to get to try the White Monkey and the Wuyuan Black. :) Thank you for the entry! I would say the Jade Oolong and the White Peony have both piqued my interest. Especially the Jade Oolong...! I would like to try the jade oolong and the white monkey. they both sound so tasty. I would love to try the Green Eyebrow Tea and the Wuyuan Black as I love finding new, delicious black teas and exploring more and more of the different types of green tea. The Green Eyebrow tea looks distinctive and of course, Lapsang Souchong is always a favorite. I'd definitely be interested in their Jasmine and Oolong, but they all look great!! The Jade Oolong and Lapsang would be my top choices - give me that smokiness! I've never had tea from them before! I'd love to try "White Monkey" and "Jade Oolong." I read the article and I love the philosophy of the company, expecially about the sustainability. the tins are sophisticated and modern, but the china feeling is evident, love it!I would love to try your Jade Oolong and the Wuyuan Black. I like black tea, so I would choose the Wuyuan Black!